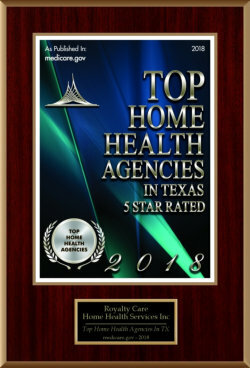 Apart from delivering home health care services to patients in the comforts of their own home, Royalty Care Home Health Services, Inc. also offers social services for community resources. We provide medical care and healthcare educations to the people who are in need of our service. When it comes to your health needs, we are here to help you achieve a healthy life. To know more about us and the services we offer, please do not hesitate to call us at 512-244-4254.